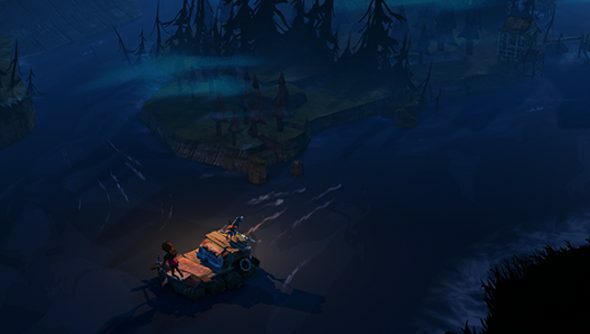 The Flame in the Flood, the procedurally generated rafting misadventure being developed by ex-BioShock, Halo and Guitar Hero devs swam past its initial Kickstarter goal today, only a week after its inception. Now that the $150,000 has been pledged, The Molasses Flood is now looking at stretch goals, from $175k to $400k, and the first five have already been revealed. At $175k and $225k, new languages will be unlocked; $200k will see raft customisation to the game; $250k will allow the devs to add an endless mode, for those times when you just don’t want the river to end; and $300k will turn it into a multiplatform game, putting it on PS4. To other stretch goals have yet to be announced. The game has a tentative release window of July 2015, but the developer explains that it has a production plan that gives them a lot of room to deal with unforeseen issues prior to the release date. At the moment, the amount pledged sits at just over $156,000, with 23 days left in the campaign.